geeks as I will be introducing you to MTN unlimited free browsing Sim to you guys. The other day i shared a tutorial on how you can use your Mtn bis to download unlimited. Today, you can call it magic Sim. It works with computers, android, iphone, ipad, and all other browsing devices. It also works with blackberry just that it can’t ping. subscribing for 2hours internet browsing on your pc. leave the Sim unused for 24hours. your phone or modem; and browse till your last day on earth. This tweak has been tested and it works perfectly. NB: My next post will on how to browse with etisalat bis on system with unlimited downloading. keep a date with us. This is a perfect tweak. It works perfectly. Sometimes in the past someone gave a similar tweak of loading N250 MTN air time for 2 Hours browsing. At the expiration of the 2 hours, the system will automatically switch to MTN Website and at that point, we should send "reset" to 131. Since then, I have been enjoying the tweak. Initially I used to reload but as time went on, later it stopped to be exhausted again; hence your write up is genuine – tested and trusted. I must sincerely commend you for your good work. You are the main man Yomi, your tweak works like magic and i am a partaker of the good tidings. You tutorial have been saving me plenty of money that i would have spent on recharging my modem. Chioma.. Internet geeks must not suffer from all the network stuffs. Thank God it work out for you. Just download and surf until you are tied of using the net. Yomi do i need 2 put it in a modem after subscribing 4 it 2 wrk? Or i can use d 2h stuf on my phone n continue using it..asin subscribe witout usin it in a modem b4 usin it on my phone? You can use the 2H sturf on your phone if you don't have a modem. Just make sure that you browse within that 2hr frame. It rocks wella. Bro, how long exactly does one need to browse? Exactly 2hours? Exhaust the 2 Hours? Or anytime frame within the 2 hours? Any time frame within the 2hrs. What if I remove the sim for 24hrs without browsing with it till expired? Bro, to make it work better, browse with it even if it is from your phone. it will work fine. When u say anytime frame within the 2hrs, do u mean less than 2hrs or 2hrs exactly but must not exceed 2hrs? Mr Ben, since it is 2Hrs you are subscribing for, then it is 2Hrs on the spot. Don't let it exceed that 2Hrs Please. Please, its over 8hrs now and ive nt browse with it before i removed it. Hope it can still work or i should insert it and browse before the 24hrs? Must it b an mtn pulse mine? It has to be a pulse line. I have been walking with pulse line and it works fine. OGA YOMI I SENT RESET TO 131 AND DEY SEND A MESSAGE BACK THAT I AV SEND INVALID COMMAND I SHUD TEXT HELP TO 131…PLS I USED IT B4 BUT ….PLS CAN U HELP. @Ade Boss what the new way @ go abt it cos i need mine 2 be running aswel. I learn't Mtn have stopped 2Hrs subscription but am still yet to confirm it. I will try and figure out another way out to those who did not succeed in getting their Magic Sim activated. To the one who succeeded in activating theirs, Congrats! I am also having the same problem .. Yomi did you figure out any other way yet? Someone told me it has been finally blocked, is this true or is there any new method? please update us on this ASAP. but guy mtn av blocked that method nao. what about new method. update us naoooooo. Hello guys, relax i will keep you guys updated with new method and tricks. u hv used0mins outta bla bla..continue browsing.it wil remain 0mins continualy..tanx yall,u guys rock. Tank you for the update. I tried it too and it is still working. You guys should keep flexing it ooo because i don't trust MTN. Love ya all! mine stopped browsing this morning… Any solution? even with 0mins, it will still continue to browse. please oga yomi, what i need is to browse unlimited. Any means just tell us. Try the Mtn unlimited browsing tweak i posted because my own is still working o000! Oga Yomi, I just converted my mtn Family and Friends to Pulse and subscribed to 2Hrs by calling customer care. Now, my question is, when I browse and exhaust my data, after leaving the sim for 24hrs. What will I set in my ipad as the apn, username and password to be able to use it to browse. Please get ready to send me ur account number if this works for me. I followed the guide, subscribed yesterday morning on MTN pulse, and am rocking wella now. who says it has stopped working should try again. May be it is the mtn network in the area One. This same tutorial you posted here Free of Charge some individual ask me to pay #3,500 to get the manual. You are just God sent. I will bookmark your blog righ now. Sorry, do i have to convert to MTN Pulse before i can use it? The sim was on PAYGO plan then i subscribed for the 2 hrs stuff then later switch to MTN Pulse,.. will it still work when the 2 hours is finished?. That i don't know ooo but it's suppose to work with it sha. @yomi, after 24hrs, i sent 2 to 131 and i was told i had use 8min outta my 2hrs plan, and its suppose to xpire by 8:44pm today(21st) and am postin this msg 8:58 wil it stl work? Forget all their expiry date of a thing. Just continue to browse with it until you are tied of it so long you follow the normal procedure of subscribing. Mine is still blazing hot. Please try it and enjoy what we are enjoying. If it's working, it will keep working. Maybe it is network problem. Welcome to the Magic world. Yes, remove it and keep it for 24Hrs so that it can be activated to Magic Sim. It's very important you keep it ooo. Are we to remove the sim for 24 hours after subscribing for 2 hours or after browsing for 2 hours? After exhausting the 2hrs data subscription then remove it for 24hrs. Then try it after then. it should automatically connect. You are suppose to browse for exactly 2hrs and then remove it and keep it for 24hrs. Make sure u ar on Mtn Pulse ooo. Try it again, it should connect. thanks Yomi, u are a gud man. I subscribd and usd myn 4 abt 1 hr and den removed my sim, im waiting 4 24hrs,i pray it works, i wil be glad. Thanks again! if for instance i subscribe @ 10:21 am should it be up to 12:21 pm befor i remove the sim? @Toluwani, dir is no need of sending reset to 131. @Anonymous,Yes. the time start counting the moment you use your 2Hrs plan. Oga pls am using a glo bolt modem, how can I do it that the mtn magic sim will work on it? Dennis man, i sincerely appreciate you. @yomi,u said we should browse within the 2hours,meaning we can browse for like 30min and keep the sim for 24hours,but now u are saying we should browse for exactly 2hours b4 removing the sim for 24hours…..so pls wat r u really saying??? Pls yomi,shuld we use our frequently used mtn line or shuld we buy a new 1? ?..nd it we use our main mtn sim,wil dey b deductin our money anytime we recharge? what if u finish the data b4 it reach 2hours? @Yomi dey sent me Y'ello! You have exhausted your 2H Data plan. Activate another bundle or text RESET to 131 to browse @ 5kobo/KB. Den I remove me sim, will it still work? @yomiprof pls I migrated to pulse frm mtn zone today and immediately sent 2h to 131 and since I still haven't seen any reply and my #250 is still intact pls help. Keep sending it. If you send it like 3-5 time and they did not reply you, just call there customer care and they will automatically activate it for you. Don't tell them say na me ooo. @yomi,i migrated to pulse and load 100 and they gave me 10mb and i load another 100 and i now transfer 50naira to d line making 250,i sent 2h to 131 and they remove the 250 but the 10mb is still there,i browse for 30mins and removed the sim,do u think it will activate?wat wil happen to the unused 10mb?pls reply.thanks! @John It will activate. Forget about the 10mb inside. so you are able to subscribe for the 2hrs plan, it will work. Enjoy my oga at the top! I don't really know about that ooo. All the one's i have done, i browsed with them. if i load n300 and subscribe will it work? It will work, and your credit will not be tampered with. Mr Yomi i did mine exactly the way u ask us to. After the 24 hours i insert the sim and it browse for like 3 minutes and stop. It directs me to MTN home page instead of taking me to the page i requested. Pls help me out. Mr Abdulwalid, Which package are you currently? I just notice another problem now, i have been browsing with it for over 2 hours now but i think it also includes about 150MB Limit, if you are browsing for several hours it could stop when you reach the limit of 150MB… what do you think? did you just subscribed? Or you have undergo all the 24hrs processes… If you have under all the 24hrs processes, it will continue to browse. I am still using my own to browse. Wait ooo…you don't even need to send anything to 131. Once you discover that you have used your 2Hrs, remove your sim and keep it for 24hrs. This thing is still blazing hot oooo. I am still rocking it and i have downloaded over 20gb worth of movies from youtube and still downloading as i am typing this post. I was using the MTN BIS which is 3gb and when it finished, i still had until 29th of April till my BIS expires but i had exhausted my 3gb. Yomi you are the genius Can i please have your number so that i can appreciate you wella?Please inbox it to me [email protected] I am just happy this night. Pls, i don't have moderm bt i'm using my phone to browse in my laptop, will it work? @ MTN STAFF shey u be one of those people wen de collect money 4 people hand!!!! E de pain u 2 see d trick free of charge 4 here? Fool!!! @Mtn Staff. Your head no correct. I think Na you dey charge people money for this tweak abi? Idiot! Bro yomi, I recharged with 400 naira yesterday, I was on paygo so I got 5mb, I then migrated to pulse but my 400 was still there, I browsed with the 5mb for sometime before activating the 2hours plan, when my 5mb finished I noticed they were deducting the 150 naira left on my line instead of the 2hours I activated so I sent 2 to 131 and got a reply that my 2hours plan has expired… Strange! I didn't even use it but I removed my sim anyway. Please will it still work when I put it back tonight? Thanks. plz, is dis d mtn unlimited 6 month browsing dat pple are sayin? i did mine on sunday against monday, though i was in super saver and didnt browse wit d sim. yesterda being mon i send reset to 131 invalid command as d msg.i surf d net throughout.dis mornin they redirected me to mtn site.i then send 106 to 131 they told me its active i hav used 120 mins of 2hrs to expire 22 april.i send again reset to 131 and 2 to 131.now they deduct my money. what should i do now. I have more 5 sims on mtn pulse which i subscribed yesterday very soon it wil b up to 24 hrs. wil they stil be hacked or any new method. pls help urgently as my N1250 is at stake now. @IK,sending 106 to 131 will only give you 10mb subscription. Relax, mtn will always look for away to extract money from their customers but their will always be a way out. Let's wait and see after 24hrs if the sims will successfully be hacked. i will keep you posted. i browsed for 45mins, removed my sim, set my alarm for 24hrs after that i inserted my sim back. I received a message.. ''u have used 90% of ur 2hr plan.. I removed my sim again at night… Around 1 in d aftunoon i put my sim back and i started browsing like madt .. I browsed till i didnt knw what to browse again.. Just dis morn i tried it again but its mtn site dats showing… I want to knw if dis cheat is still working or should i subscirbe again? I've removed d sim anyway. I can't even subscribe to 2hr browsing plan. Its sayin wrong command. Wat shud I do? Dont Mind this mtn people, i know they will be trying every possible means to block this tweak but it will not work. It is high time we milk them dry. I have another suggestion to some people who hv still not succeeded in getting their magic sim activated. I just discovered that I have subscribed for mtnBis (Blackberry Internet Services) but of a sudden it just stop browsing. So i subscribed for Mtn 2Hrs and guess what? I have been downloading as if na my papa get mtn. My suggestion therefore is this. If you did not succeed in activating magic sim, subscrib for this bis unlimited. Mr Yomi what do you think? Mr James i love your suggestion. after 24hrs, how can i verify that its activated as a magic sim? i have loaded but i keep sending 2H to 131 and no reply pls wat do i do? Mtn are aware that they have loopholes with their 2hrs plan and bobo's are already hacking into their server. I wil suggest you try to subscribe after 2hrs. i did mine on sunday against monday, though i was in super saver and didnt browse wit d sim. yesterda being mon i send reset to 131 invalid command as d msg.i surf d net throughout.dis mornin they redirected me to mtn site.i then send 106 to 131 they told me its active i hav used 120 mins of 2hrs to expire 22 april.i send again reset to 131 and 2 to 131.now they deduct my money. what should i do now. I have more 5 sims on mtn pulse which i subscribed yesterday very soon it wil b up to 24 hrs. wil they stil be hacked or any new method. pls help urgently as my N1250 is at stake now. pls reply me now the time is close. plz oga yomi… Is your own still working? @Anonymous, it has been flunctuating since morning so i want to give it a benefit of doubt that it is still working. Mr Ik congrat. If it work, it will keep working. I discovered that those who have successfully subscribed for like 4days ago, can still blaze it well… Don't worry if you own have not work, it is their server because i have been trying to subscribe for some of my colleague at work but 2Hrs is not even going to 131. Let's watch how it go from now till tomorow morning but i will always keep you guys updated. Please don't send 2hrs again to 131 if they have deducted your money. 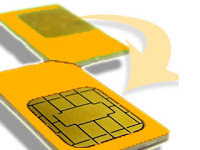 Just remove the sim and keep it for same 24hrs. Like i said that they have bn havin server problem because i tried activating for two of my colleague but their own case was that 2hrs to 131 was not going at all. So relax let's see how it goes after 24hrs. If it happen to still be like this, i will look for another quick alternative to this magic sim of a thing because my own sim is still downloading unlimited and i don't want you guys to keep dashin mtn ur money. Yes.Just browse for the hours and live the Sim for 24hrs. Bro Yomi, I've wasted my 400 naira man, like I said yesterday, I inserted the sim this night and was really browsing but I kept on checking my remaining 150 naira it was there until about a few minutes when it just stopped opening pages then I checked my balance and it was gone… No magic sim bro and ma dough's been wiped like that. What do you suggest I do next. Thanks man. bro Yomi… I wanted to knw… What package are u using? Mtn pulse? You can still subscribe to the 2 hour plan by calling customer care. This way u avoid non activation or being told that ur plan has expired when u just activated it. The only downside to this method is that u have to wait for minutes in order to speak to some1. oga yomi, i really appreciate ur gudwork, i pray dat u ll never lack good thing in life in jesus name, guyz for my area sell diz magic sim for 5k, i almost pay 15k to learn it, bt now u gave us free. Anyway hv done mine,i sent 2h to 131, and browse for 2hrs as u said, bt u said i should insert d sim back after 2hrs, is it d time i subscribe i ll count, or i ll start counting after d 2hrs i browse. Prof. I am on active bis now. If I subscribe, will it work? What of mi bis plan? Tanx so much. U re a good man. @Yomi my Oga at Tweaking: is MTN bis on pc still working, coz i am abt to subscribe , wat s d settings ? pleas o prof yomi…im on mtn pulse nd i did mine around 11.30am on tue nd i browse till 1.30pm then i remove my sim nd i insert it back aroun 2pm on weds… then i only browse till around 10 in the night nd it stopped working o … pls help me o …z it d ntwork or wot? pls i want to knw if 2h to 131 is now going…has anyone tried it yet ? Wow… IK man congratulations oo. U have successfully hacked ur own. I am going to try my own too right away. Yomi tanx a lot. @yomI, i subscribe for d 2hours, i browsed for 30mins and i removed my sim for 24hours…wen i put it back on phone it was blazing…i browse for almost 3hours on phone, i discovered dt they removed d 10Mb that they gave me but its still going…so i now put remove d sim and put it inside my modem and it browse for like 30mins and started showing mtn page…up till my its not browsing…pls wat should i do…i beg reply me! @ Everyone, A fellow commenter posted this on this thread, and i think if we can give it a trial, it will work. According to what IK posted "Magic sim is still going, i did 5 sims monday against Tuesday. This is the update, subscribe and don't browse with it, just pull your battery,leave ur sim ,for like 25hrs or more,insert it back sim hacked. .mtn might be sending u msg that u ve used some percentage of ur bundle,ignore such msg.Browse for like some hours,then send 106 to 131,if u received msg like this Dear customer, your 2 hrs 1-Day Data plan is still active. You have used 0 mins of 2 hrs. Expires: 23-Apr-2013 16:03. Start surfin its now unlimited. as you can see mine suppose to expire on 23 but it is still active. Note Never send 2 to 131 it will be deactivated or exhausted,use mtn pulse". So lets try it out. @lk thanks very much. . . . .
Shoowww..! Mtn no well oo. Hope they are not planning to block 2hrs plan? I know their will always be a way out sha. i call customer care to activate my 2h plan but they are telling me d application is nt available..pls let us know wen its available.thanks! Don't subscribe for 5mb on the hacked sim as it may turn it back to normal. Instead, check if this is the current apn you have on your modem settings apn:web.gprs.mtnnigeria.net. Just wait and see after 24hrs, let's see how the hacked sim will go. Good to have you on board. It is Network issue. Mine waz cracked 9days ago. I noticed the network has been fluctuating even lastnight till diz morning. I cracked 13 sim(s), I sold 6 3days ago. Kudoz to Yomi! @abdul Ariz,Tanks 4 d reply.Pls let me know d latest working tweak on mtn unlimited.D 1 used 4 cracking mine(8-9 days ago,i payed 1k ) is not workin on other sims again. Tnx vry much yomi,i jst did mine nd it is blazin seriously..bt cn i recharge my sim nd mak call wif it? ?abi it is 4 only browsin? can i use mtn modem software dat has d function of calling on my unlocked etisalat modem dat doesnt have d capacity to call? Hello, your question seems not to be clear. Are you saying "Can you use etisalat sim on mtn modem that has the function of calling? Please rephrase your question so that i can answer u better. Mr Olajide, please kindly send me your email ads let me forward my number to you. Yomi,cn i use d hack sim 2 mak call or wil it affect it? yes you can use the hacked sim to make calls; but make sure you load the a reasonable amount you can finish in making call before you browse wt it on your system. I don't want a situation where mtn will now be chargin you. Wow!!! i love to hear goodnews. i am happy it is now working guy. keep flexing it bro. Thank you my brother.i will send it ASAP. i said cn i use mtn modem software on my etisalat modem? M jst browsing wit d sim n i sent 106 to 131 i got a reply dat "sorry, u do not have sufficient balance…….." i didnt get "dear customer, u've used ….." can it stl work for me? Pls I subscribe as Yomi and lK said and after 25 hrs I inserted back the sum and it was blazing I browsed for like 2hrs and I sent 106 to 131 and,mtn sent,a msg as Yomi and ik said but since then I've been unable to connect pls help. @Anonymous.. You can't use Mtn modem software on etisalat modem since they are not dsame, so it would't work. Sending 106 to 131 simply means u wana subscribe for 10mb. If mtn reply dat u dnt hv sufficient bal, means d amount u hv on ur chip is nt enough to get the 10mb. So tell me, what do u want to do exactly? @Omotola, if u are now browsing on ur systm and at dsam time u sent 106 to 131, dat reply u got simply means its nt from ur 10mb u r browsing. @Ola, try it after some time as it could be a temporary network problem. @Anonymous2…don't send reset to 131.
my is disconnecting every 5mins i connect it pls what do i do bcuz i activated my magic sim on wednesday? its me omotola, @yomi, it stopped browsing wen my MB n airtime exhaused. Wen i subscribed to 2hrs, i didnt get any notification bt my 250 was deducted. My questions nw are, am i on magic sim or not? and is d cheat is working or not? @Everyone, i will solely advice us not to subscribe to the magic Sim tweak for now, in order not to just be given away our precious 250 to Mtn. Like i said in my other post, that for now nobody should subscribe to the magic plan except i have verified it's functionality again. The reason being is that mtn has been having network issues since on Tuesday, inshort, as i am typing this message, i don't have network on my BB device, I am currently using Airtel subscription to post this message. Just keep your magic sim should in case you have subscribe before, when the network is ok, i will device another means of getting it back fixed. I love you guys for your patience and continual understanding. YomiProf! Mr Martins, tank you very much for noting this from your wealth of experience, i sincerely appreciate you. Advice taken. Tanks for stopping bye. Magic Sim is not blocked ooooooo. Mine is still going well. Tanks prof. I don't know how i managed stumbled on this site but it has bn helpful and worthwhile. How i wish i can meet Yomiprof in person. This same tweak, i almost pay 5K for. Well tanks Prof for this insightful tutorial. Even if they happen to block it tomorow, i have partake from it. The Magic sim is not blocked ooooo. Mine is still blazing. Just downloaded A movie now worth 3.8gb. Thank you yomi. and disconnecting what do i do? Do i have to dial any special code after putting it back in 25 hours ? this forum is progressing coz have been enjoying my magic sim. Thanks to Mr Yomi. Coz naijaloaded offer this for #3,500. More grease to ur elbow. is d magic sim stil working? I want 2 configure mine? Is it still working or has it been blocked..? pls am new here,just wanna do it….is it still working? Yes… You can use it to browse on your phone for that two hours… Mine is still working but i don't know if it will work for new commers. I tried to hack my sim, it didn't work oo, I subscribed, then I left fo 24 hours after that when I plugged in it was browsing but its always sometimes switching to No Internet acces on my taskbar, and until the second day, (today), its not browsing at all its just bringing no internet acces and its always referring me to that mtn data bundle page. Can you help??? hallo gus . i crack my sim yesterday it was originally browsin wel but later showin me mtn websit wen i brows on my pc , pls elp ,me what can i do . I had been browsing with it successfully. All of a sudden it started to redirect my page to mtnonline page. What should i do? IS THE STUFF STILL ACTIVATING????????????????????????????????????????????? thnx pro. yomi,dis ma email [email protected] case of new activation,let me knw.Also,i ned ur number too. @Matinz…so in your "over-experienced" mind,those MTN employees dont have emails ba?? Abegi..carry ur negativity go elsewhere…like some1 rightly posited the only way for it to lat long is for Yomi 2 keep it 2 himself. Please mr. Yomi, I'm have d magic sim currently and I wish to subscribe for a blackberry plan. Just want t know if it will affect the magic sim stuff. Thanks. You can subscribe for your Bis subscription but i don't know if it will affect your magic sim status. Since your package is still on pulse, their is 70% possibilities that it will not affect it. Okay, thanks. I'm feeling optimistic bout d tin. Oga yomi, mine is not activating to 2hrs plan. Sent more than 50 sms 2H to 131 and no response. I have 2 mtn sim. Activated the other sim 3 days ago. But when i tried to browse for some minutes with d first sim, it expired after 10 mins and left it for 24 hrs but it never browsed. So i had to load 300 on the other sim but can't activate 2hrs. Pls what do i do boss. For now,to activate 2hrs plan you need to call customer care to do that for you. And secondly, magic sim does'nt work on new mtn lines except the old ones; i just confirm this. The question is on which sim did you activated the magic, old or new line? whic of the procedures above boss? Follow any of the procedures above. Both still works fine but you have to make sure you call customer care to avoid your 250 being deducted without giving you the 2Hrs plan. i just did mine and i followed the i struction as stated but it didn't work. So what might be the cause? Bro Yomi, I will be interesting if the new way of magic sim is discovered. alert me the new way with this email ([email protected]) and also your account no. I promise you, if it work Mehn! your account must blink trust me. i will be glad to see your reply. Thanks. @ MR YOMI. THIS IS MY FIRST TIME OF VISITING UR SITE. WE AV NOT MET BUT UR HUMILITY INTRIGUES ME. KEEP THE GOOD WORK GOING. U ARE RARE AND ONE OF A KIND. my case is different i think. my cousin gave me the tweak and the 2h to 131 worked immediately. noone told me about pulling the sim for 24hrs. i browsed non stop for almost 20 hours and it just stopped. went to mr google and learnt about reset. i did that and it didnt work.. the browsing just ate my remaining airtime. i did something stupid and resend 2h to 131. my sim still isnt browsing. is there a solution to my problem? What is really happening? It seems not cooperating again bcs I have been on it since last week but refused to expire until yesterday..then browse for sometimes… after reconnection it has stopped flexing…[email protected] help pls. any one who needs the magic sim new style should mail me……..there is a new way which is rocking now……..
so whats hapening,since April nobody has sent any message?does it mean dat d magic sim tin isnt working again? goodmorning to y'all. mr yomi please is this procedure working.. as @ now? when was the last time some body here activated mtn sim for browsing? Hi Yomi, am glad to be on board with genius man like you. 2H Activation is no longer working, i heard that there is another method to activate MTN MagiC SIM. PLS if u have it kindly give us i need to be online 247 to write my sch project. i dont have money to subscribe. @Prof Yomi PLLLzzz I knw am late and all, But I need ur help. Is this tweak still workin as at 20th June? I want to know and if its not plz. Update us. this tin be real, cos i de enjot am well weller but the service no de regular. thanks oga Yomi. customer care : magic sim ! customer care : 1 year! person using the magic sim? guy i av it on my phone book.let me check it. oda to serve you better. why do some people behave lyk dis? simple mobile bill payI really like your site. abeg this thing still dey go? plus can it be activated on Android devices as well? pls bro if dis steps can be used in ghana too pls let me know. South Africa working in vodacom thanks yomi!!!!!!!!! Oga yomi pls must i change my settings before am allowed to browse with my phone asap? DOES THIS MAGIC LTN SIM WORKS IN CAMEROON (douala). Can dis thing work here in mzansi? bro do u have any tricks for ugandans? ?